As Coco herself would say, it has to be classy and fabulous! 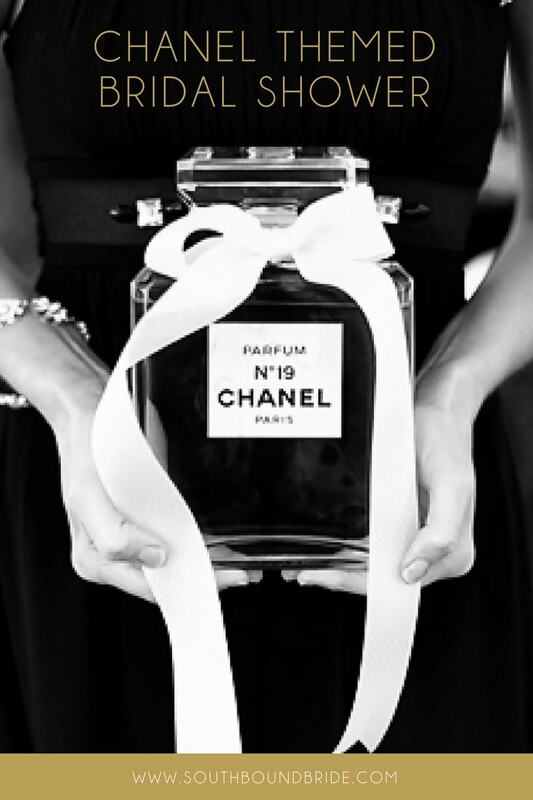 Coco Chanel is supposed to have invented the Little Black Dress, and there’s really nothing more simple or lovely to ask the girls to wear to your Chanel party – everybody has one! 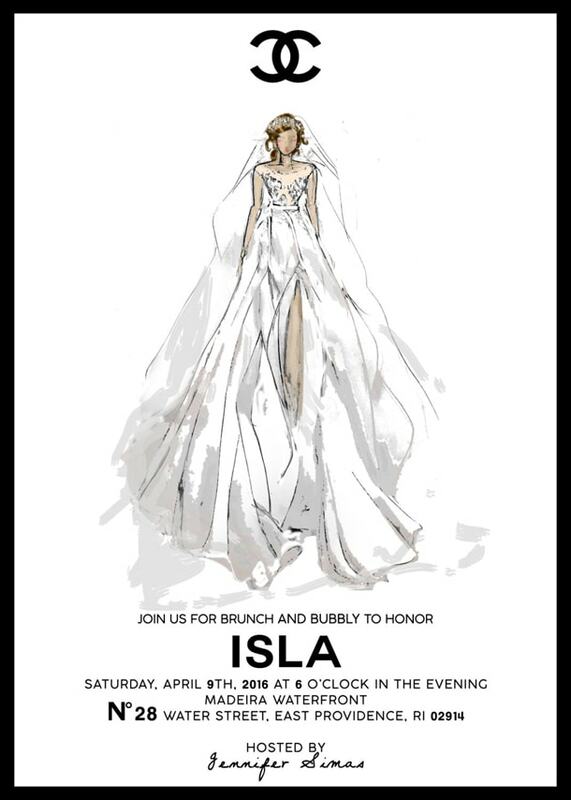 Either put your bride in black and white, white only or pink, or you could even find something couture-esque and fabulous to make her feel really special. 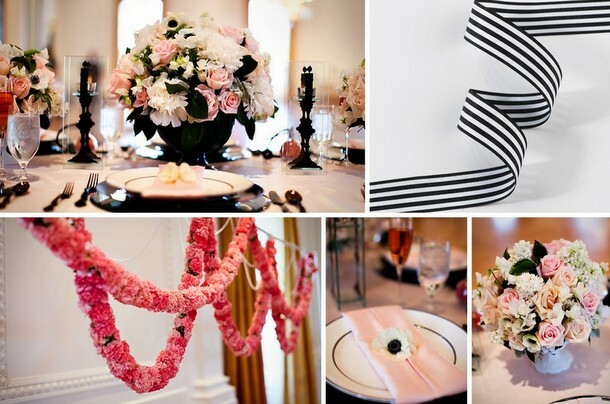 Don’t forget fun details like headbands, fascinators and brooches – all of which can double as favours. You could even ask every girl to bring one item of lovely (vintage?) costume jewellery as a gift to build up a collection for the bride. 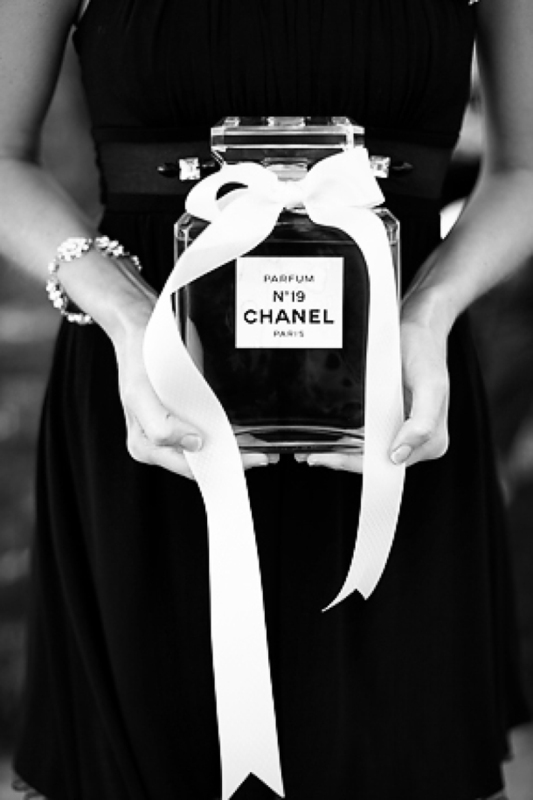 Just make sure to keep it simple and elegant, in keeping with the design ethic of Chanel. I’ve managed to find some lovely ideas, above. 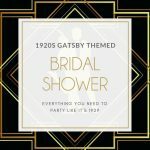 If you’re doing these yourself, stick to black and white, and play on Chanel branding – it has such an iconic look that it will immediately convey the look and feel of your party. 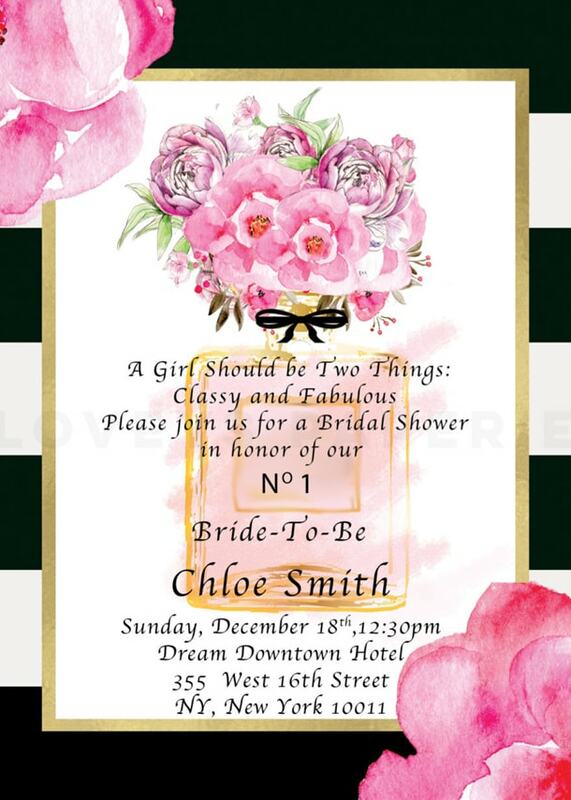 Try cutting out invites in the shape of Chanel No. 5 bottles, or basing your invitation on the packaging for No. 5. I really like what this bride‘s friends did in turning the first letter of her name (K) into a version of the Chanel logo – very cute! This is definitely something you could do at home, but for best effect, create a lovely little chic space in the garden or in a clutter-free room indoors. Another option is to rent a light, clean and stylish room in a swish hotel or restaurant – any number in London or Cape Town will fit the bill! 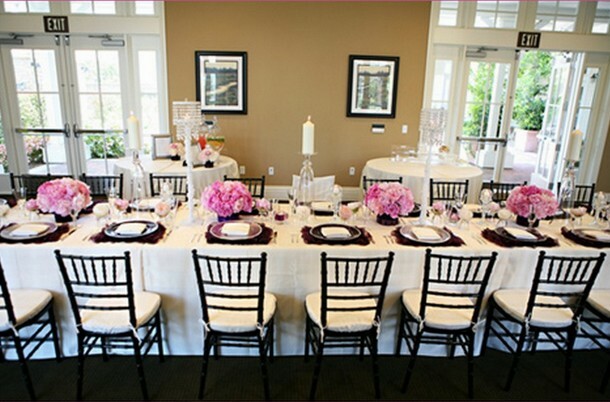 Lay the table for a gorgeous sit down luncheon, using black, white and pink for linens, fresh flowers and paper details. 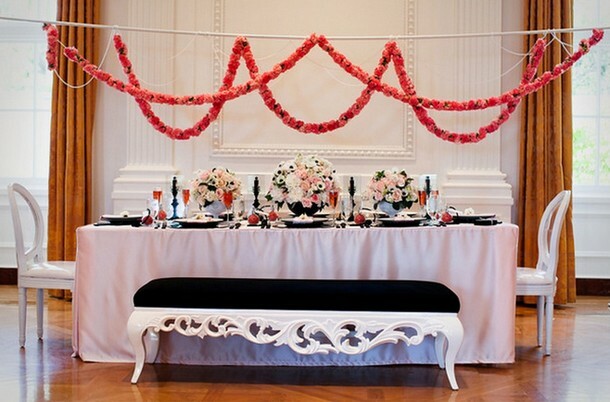 I love the idea of hanging wreaths, and having lovely lace runners or napkins tied with Parisian black and white striped grosgrain ribbon. This is about the girliest decor you’ll ever pull off, so have fun with it! 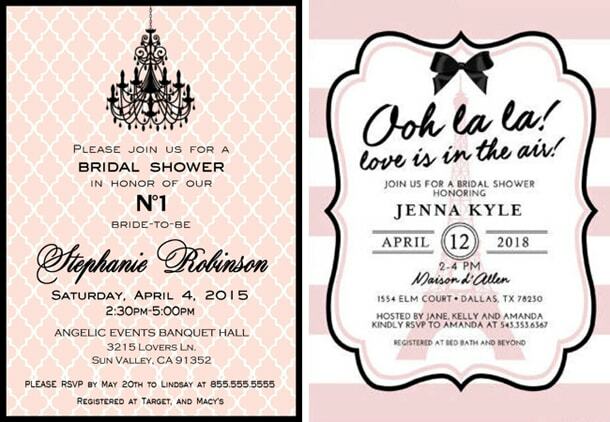 You can really go to town with this, depending on your budget and venue. 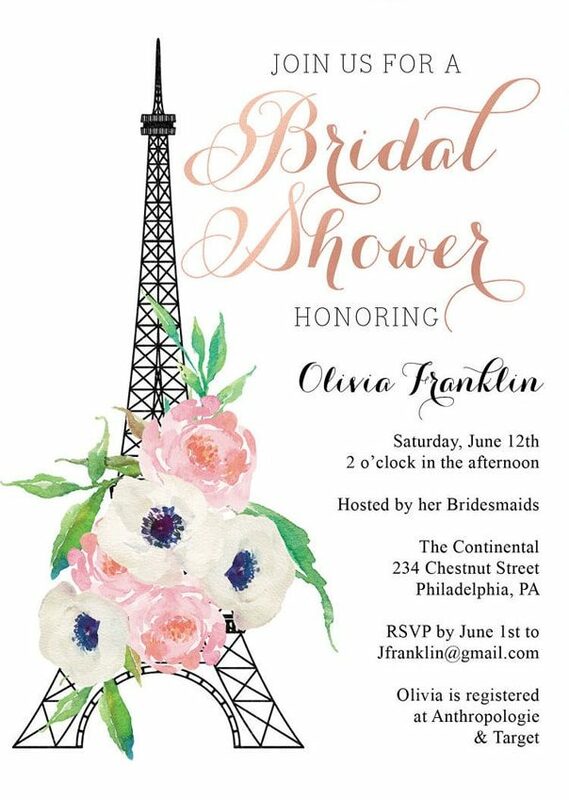 I’ve suggested a luncheon, and if you do this, consider a spread of gorgeous French food for the ladies to sample. 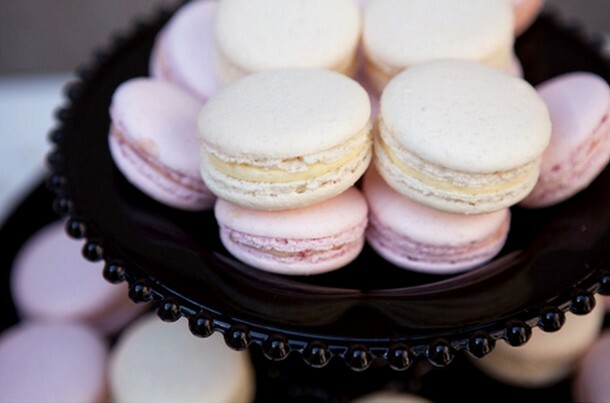 Serve with pink lemonade and pink champagne (love the serving ideas above!). Dessert should of course be a highlight in true French tradition, and there’s nothing sweeter than macaroons, especially if you can make or buy a macaroon tower like the one above. J’adore! 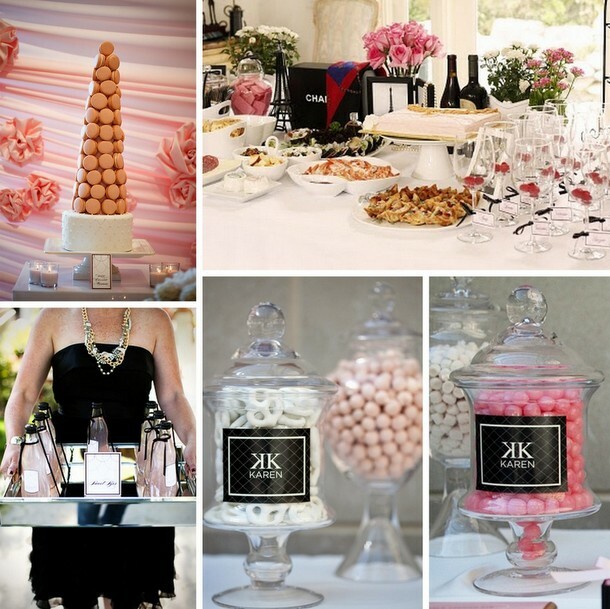 If you’re hosting a drinks party only and don’t want to serve much food, a lovely idea is to have a pink, black and white sweets buffet, which is much easier to put together than you might imagine. Simply assemble a collection of lovely glass jars and vases and fill with liquorice, meringues, marshmallows and any other pink or white sweets you can find (jellybabies are great for visual effect, and taste pretty good with champagne surprisingly!). You could even dream up a signature cocktail (pink, of course) – be sure to serve it with stripy pink and grey paper straws for the ladies to drink from. Drinking champagne and being fabulous not enough for you? If you’d like an activity to amuse your guests look no further than a perfume making station – I’ve actually done this, and it is way fun. Although when I did it, it was pretty comprehensive and took HOURS, which sort of lost the girls’ focus after a while (fortunately we were on a weekend rather than an evening hen do). Bear that in mind and ask whoever you book to keep it short and sweet. 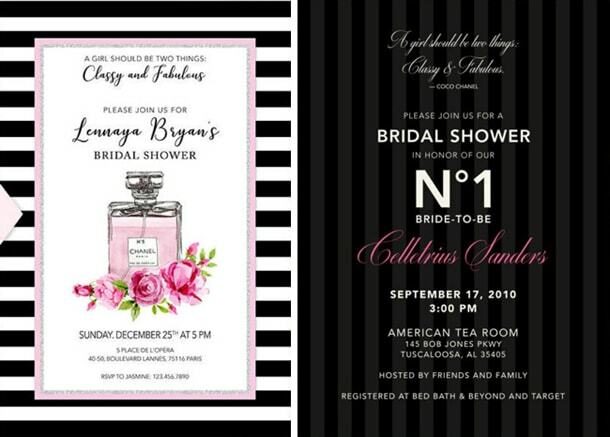 The great thing is that the perfume every girl makes doubles up as a favour to take home, and you could even prepare sweet little labels ([Bride’s name] No. 1, 2, 3, etc.?) so that it’s an extra special keepsake. 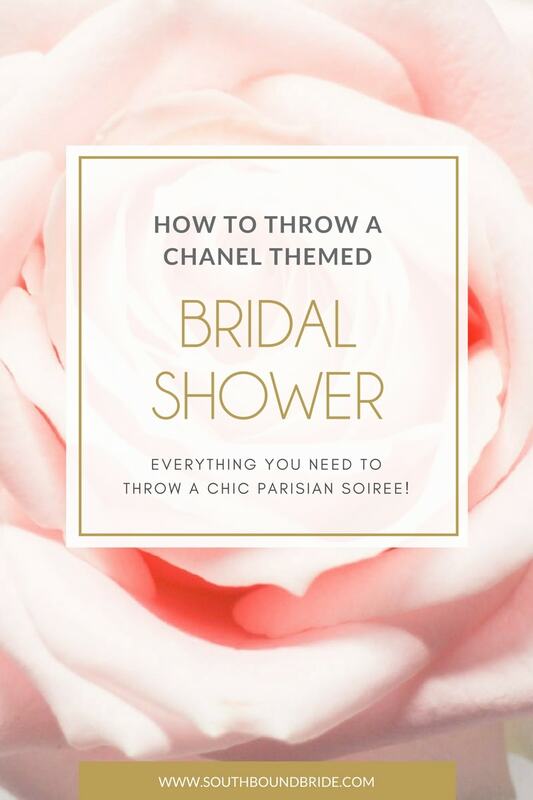 Find more fun bridal shower ideas on Pinterest! 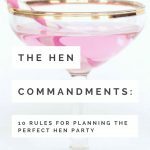 Bridal Showers & Hen Nights: Who Pays?